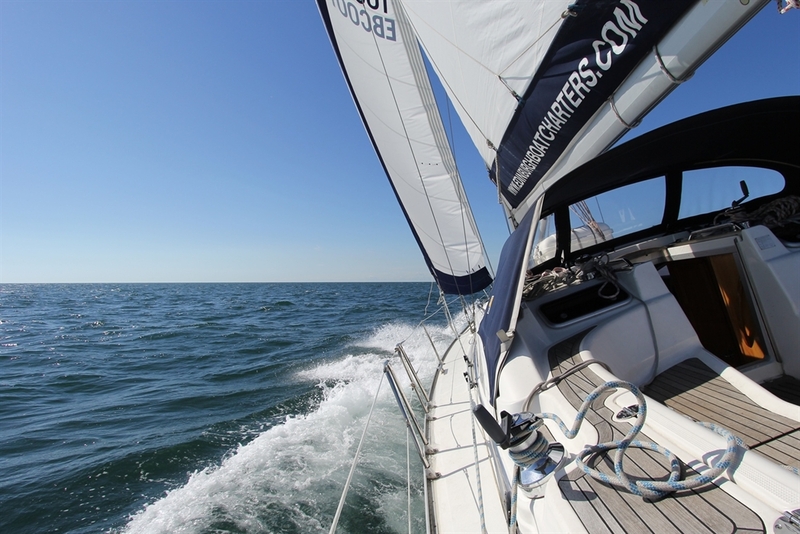 Edinburgh Boat Charters offer a unique range of sailing experiences. We offer a unique range of experiences to the discerning buyer, whether corporate or private and our high specification luxury sailing yachts are unique to the East coast of Scotland. Edinburgh Boat Charters sail in a beautiful, historic and inspiring location providing a bespoke experience to meet your needs. Larger groups can be catered for on multiple yachts and high speed RIBs. Our luxury Catamaran is a popular choice for private charter. Besides corporate and private hire, Edinburgh Boat Charters offer a number of scheduled tours lasting anything from a couple of hours to a full day or more which have proven popular with individuals, couples and private groups as well as those learning to sail or looking to add longer passages to their log books. Edinburgh Boat Charters is owned and “skippered” by a passionate, experienced sailor, local to the area, who is dedicated to providing you with a fantastic day out, be that with colleagues, friends or family.